The Instant Production Box, from Fronter an immediate classic! Murray Sawchuck is still on “America’s Got Talent” and did you catch Dan Sperry’s performance this week? Plus, we are now in to the second week of Criss Angel’s 6th season of “Mind Freak” his show on A&E. Criss is getting mixed reviews but hey it’s magic on TV and that gets people talking about magic…right? Email at Steve@makmagic.com and let me know what you think. 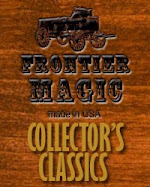 I want to tell you about an item that we have here at MAK Magic that will become an immediate collectors item. The Instant Production Box, Cherry - Frontier (P9896). • This beautiful Hand crafted prop is made from cherry wood and stained to a deep rich color. • It contains 4 windows cut from solid glass and the gimmick is made from real glass mirror. None of that flimsy stuff here. • A small turntable is built into the base permitting you to spin or rotate the box after your production. • It measures 8" x 8" x 7.5". Making it a great size for stage or parlor! The Instant Production Box (P9896) will look wonderful on a shelf in your magic room or center stage in your next performance! You got balls? How about cups?